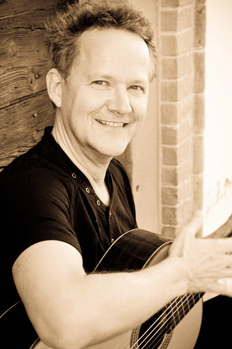 Tilman Hoppstock has been highly acclaimed in the classical guitar scene for about four decades. From 2003 to 2005 he was invited to teach as a guest professor at the Music University in Piteå (Sweden). In addition to his live performances, the artist has recorded thirty CDs. In 2010 and 2013 he published two critically-acclaimed books entitled Bach’s Lute Works from the Guitarist’s Perspective. Along his career as a recitalist, Tilman Hoppstock teaches international guitar classes at the Academy of Music at Darmstadt, Germany. In 2013 Tilman Hoppstock received the Darmstadt Music Award for his life’s work as guitarist, teacher, musicologist and publisher. In 2014 he earned his doctorate with a dissertation entitled The Polyphony in Bach’s Lute Fugues. He has a predilection for crime novels and Russian literature, and is also a passionate lover of art who enjoys the great wines of France and Italy.